Westminster Kennel Club Dog Show is one of the top NYC events in February. DoubleTree by Hilton Metropolitan, a Manhattan Hotel, welcomes February visitors with special offers. Top February events include Westminster Dog Show, Broadway Week, and Mercedes Benz Fashion Week. DoubleTree by Hilton Metropolitan has impressive special offers to welcome February visitors. The 140th anniversary of this prestigious NYC event will take place at Madison Square Garden and Piers 92/94. 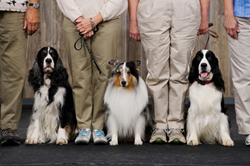 Those who attend will see some of the best examples of several breeds. Attendees love to see which breed will be name Best in Show at the Westminster Dog Show. Tickets can be purchased online for most of the events. Dining out is always a favorite activity for guests at Manhattan hotels like DoubleTree by Hilton Metropolitan, and this NYC event is a chance to try some top spots at a great price. More than 350 NY restaurants will offer prix fixe lunches for $25 and dinners for $38. Reservations are recommended at most of the participating dining spots. This trade-only NYC event brings more than 30,000 toy industry and retail professionals to the City for 2 days of seminars, exhibits, and more. It’s a chance to do lots of buying and to eliminate the need to travel to several vendors. Instead, vendors from around the world are all in one place. Some of the world’s top designers, fashion models, and fashion editors will head to the City for this NYC event. Mercedes Benz Fashion Week kicks off the Big 4 in the world of fashion. The other Big 4 events take place in London, Milan, and Paris. Seats at most fashion shows are by invitation only, but some shows and other related events do have tickets available to the public. This NYC event gives locals and guests at Manhattan hotels a chance to enjoy 2-for-1 tickets to hit Broadway shows like The Lion King, Wicked, Phantom of the Opera, Chicago, Les Miserables, and many others. Availability is limited, so those planning to attend should reserve their tickets as soon as possible. Those planning a visit in February can visit DoubleTree by Hilton Metropolitan’s website or call the Manhattan Hotel at 800.675.6706 to make a reservation. DoubleTree by Hilton Metropolitan is perfectly located in Midtown Manhattan on Lexington Avenue. Both business and leisure travelers appreciate the upscale amenities, onsite dining, modern décor, and thoughtful service provided to each guest. Travelers coming for New York Events, business trips, or a family getaway find these NY Accommodations to be a great choice. 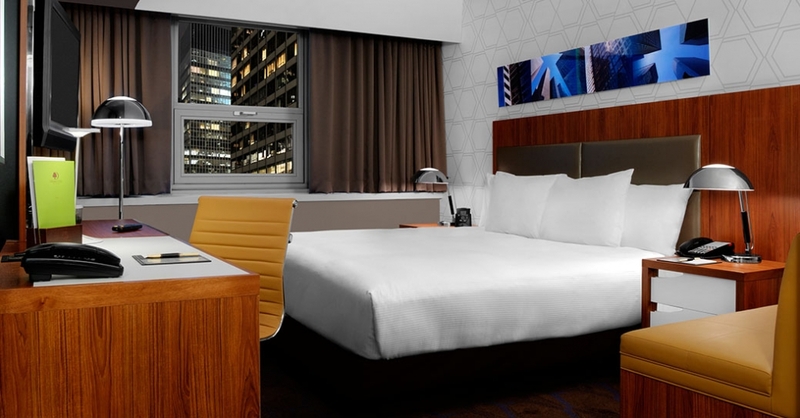 The NYC hotel was recently renovated and features newly renovated guestrooms with Sweet Dreams by DoubleTree Sleep Experience beds, contemporary bathrooms, modern work desks with ergonomic chair, new LCD television and more. Crabtree & Evelyn bath products await each guest. The hotel’s bar and lobby were renovated in 2015. The Midtown location of DoubleTree by Hilton Metropolitan gives guests the advantage of being near some of the City’s best dining, shopping, attractions, and activities. Top restaurants are within walking distance, and there is plenty to see and do without venturing far from this Midtown Manhattan Hotel. Times Square, the Empire State Building, Central Park, Rockefeller Center and Carnegie Hall are just a few of the NY attractions located within walking distance of the hotel. Those planning a trip to New York City can view the hotel’s contemporary accommodations and full-service amenities by visiting the Hotel’s website or by calling 800.675.6706. DoubleTree by Hilton Metropolitan is an ideally-located Manhattan Hotel that is a popular choice with both business and leisure travelers.